Located in historic downtown Newburyport, Nicholson Hall is Northshore's best kept secret. Celebrate life's special occasions at an elegant venue, one that embraces the warmth of family, friendship and creates everlasting memories for you and your guests. Meet our staff, tour our handicap accessible facilities and inquire about our two function halls & one conference room available for rental. 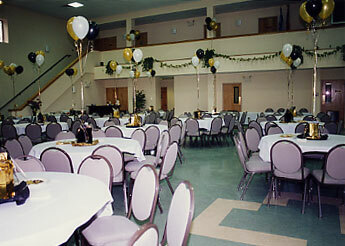 Function types include wedding receptions, baptisms, bar mitzvahs, bat mitzvahs, bridal and baby showers, anniversaries, reunions, political events, mercy meals, annual and monthly business meetings; seats up to 200 & up to 25 in conference room.